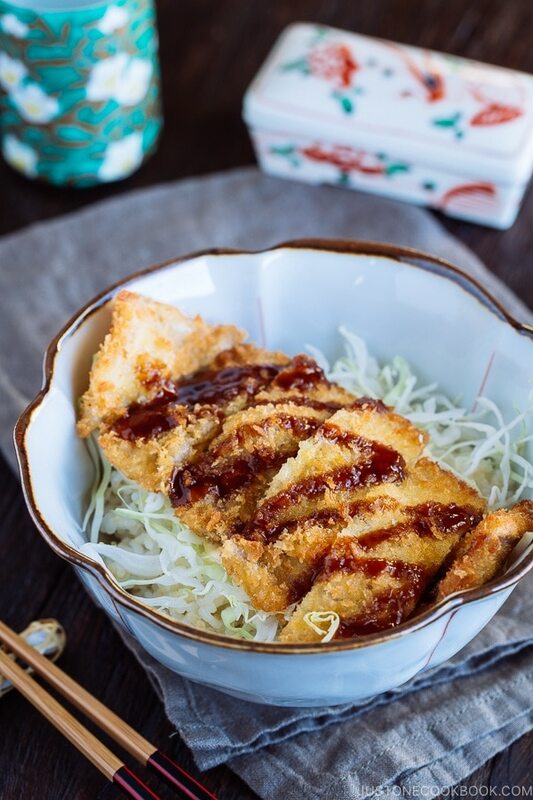 When you serve super crunchy & juicy Japanese pork cutlet over a bed of steamed rice and shredded cabbage, you get this Crispy Tonkatsu Donburi. A rice bowl that will get everyone to the kitchen table in seconds! Drizzle with Japanese mayo and tonkatsu sauce as you like. When I was little, I wasn’t a big meat eater and I had a hard time swallowing a big chunk of meat. As attentive and amenable as a mom can be, my mother made this Crispy Tonkatsu Donburi (クリスピーとんかつ丼ぶり) instead of regular Tonkatsu for me. 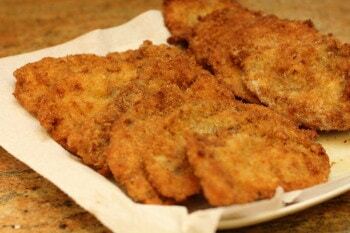 Even though I have longer any problem chewing my meat, I continue to make this dish to my family as the cutlets have a lighter and crispier texture which we enjoy very much. Tonkatsu is usually made of a piece of thick cut pork chop, breaded and then deep fried. To make ultra crispy tonkatsu, the trick is to stack up a few thinly sliced pork loins to make thin-cut meat. 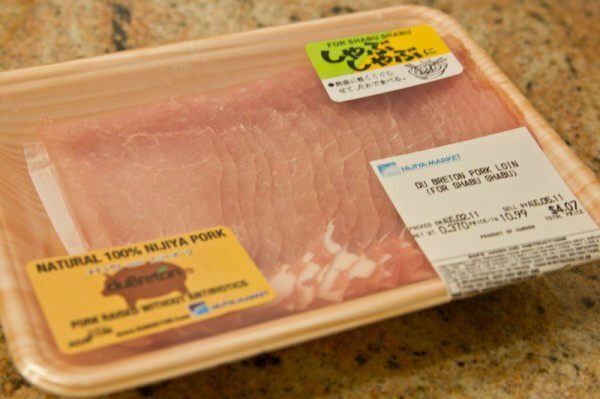 These thinly sliced pork loins are specifically prepared for “shabu shabu” which is a type of Japanese hot pot dish. You can find them at Japanese or Asian grocery stores and look for packages like the one pictured below where they are labeled as “for shabu shabu (しゃぶしゃぶ用)”. Using thinly sliced pork is much more economical than using a pork chop because you don’t need as much meat for one serving. 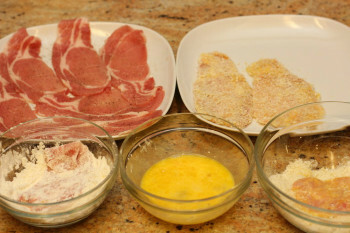 If you find the thinly sliced pork for Sukiyaki, the you can use one slice per Tonkatsu or use 2 slices for one Tonkatsu. Both Ton (pork) Katsu (cutlet) are equally delicious. The difference comes down to the matter of preparation and textural styles. Tonkatsu made with shabu shabu meat is thinner and crispier, and it cooks a lot faster too. 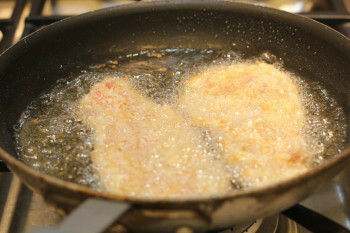 You will only need a very small amount of oil to deep fry, so it’s much easier to clean. Regular Tonkatsu is juicier and more satisfying as you bite into the thick juicy meat. When I prepare regular Tonkatsu, I usually give the piece of pork chop some trimming and light pounding before coating it with egg mixture and the panko breadcrumb. With the shabu shabu meat, you don’t need to trim or pound the meat at all. 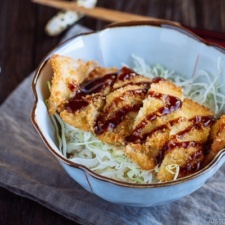 If you have young children at home, this thin-cut style tonkatsu will be their favorite. It is simple enough for any busy parents to make when the kids ask for fried food. It is also a good choice if you prefer to cook with less oil. 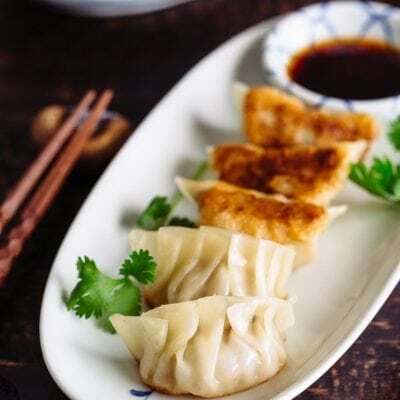 Follow the steps in the recipe, you will get some really juicy tontaksu with an irresistible crust. 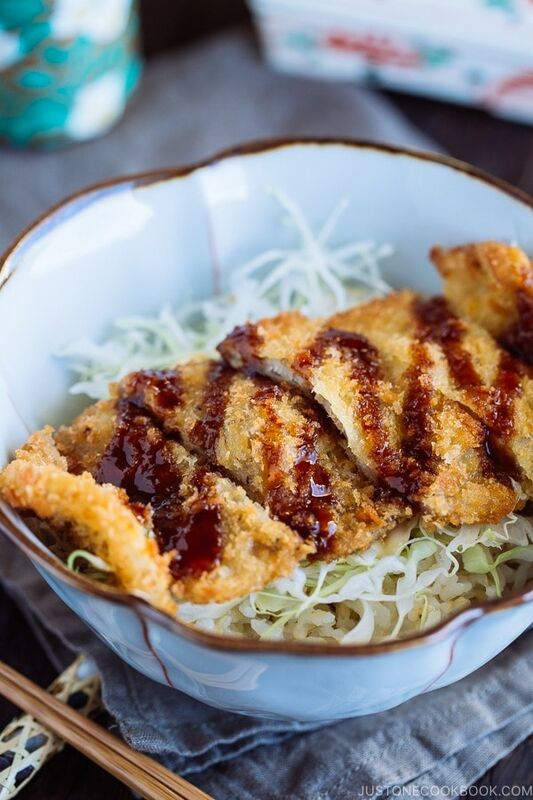 Get your steamed rice ready in the bowl, pile with a bed of shredded cabbage, and then place the tonkatsu on top before you drizzle in the sweet brown sauce. I like to serve this Crispy Tonkatsu Donburi alongside with miso soup, but that’s optional. Gather all the ingredients. Here I use Sukiyaki meat, which is thicker than Shabu Shabu meat. If you use shabu shabu meat, you should stuck up at least 2 slices of shabu shabu meat. Sprinkle salt and pepper on the meat. 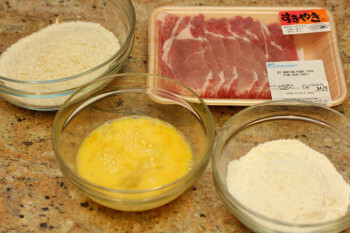 Then dip each slice of meat into the flour first, then dip in egg, and finally coat it with Panko. 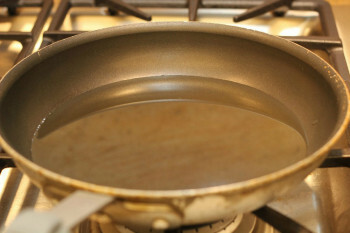 In a large non-stick frying pan, heat ½ inch of oil on medium high heat. Check How To Deep Fry Food if you are not familiar with deep frying techniques. When it’s hot, put 2 slices of the meat. Make sure you place it flat. Turn over when the bottom side is browned. When both sides are cooked and golden brown, remove the meat from the oil and place it on paper towels. 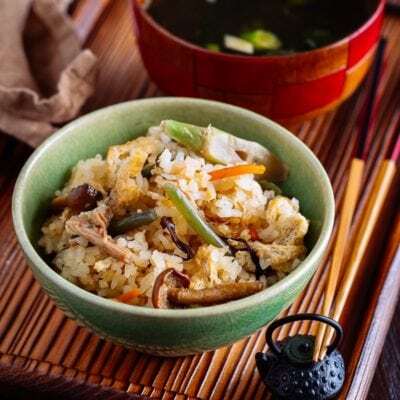 Serve rice in a Donburi bowl and spread cabbages over the top. 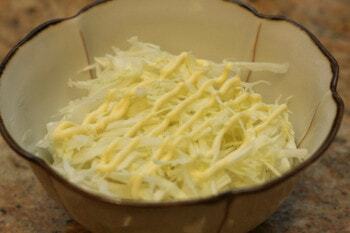 Crisscross the cabbage with Japanese mayonnaise. When Tonkatsu cools down a bit, cut it into half inch strips crosswise. 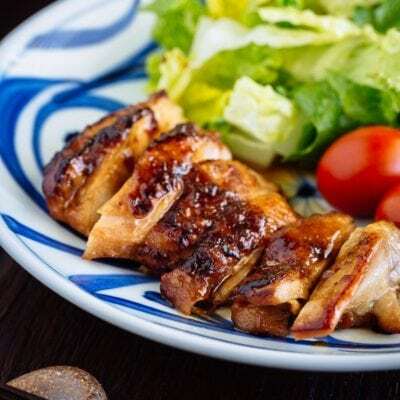 Place the meat on top of cabbage and drizzle with a bit of Tonkatsu sauce. Enjoy! 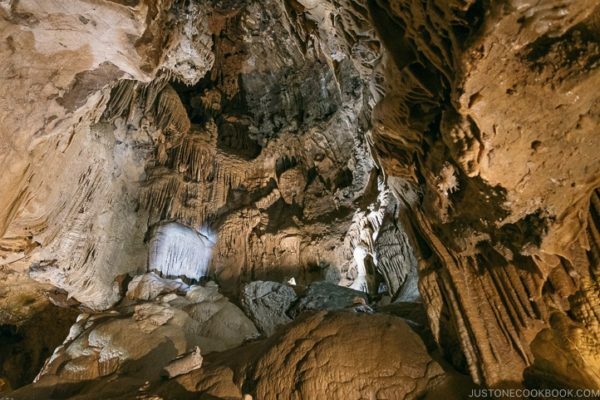 Editor’s Note: The post was originally published on March 21, 2011. 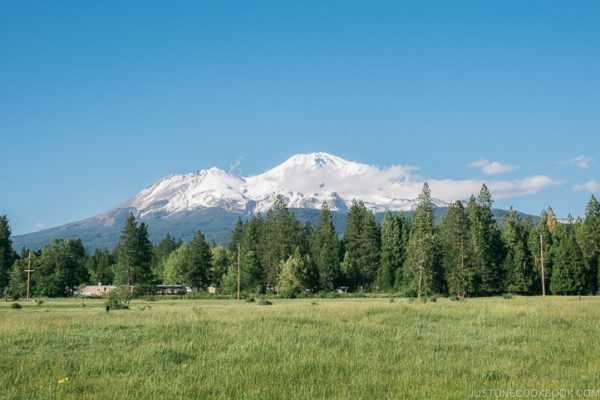 The post was updated with new images in July 2018. We always order tonkatsu when we go out to eat. You make it look so easy. When I make this for my family they’re going to be so impressed. Thanks! This definately has to be tried!! You had me at katsu! I love donburi! And I have a box of Panko waiting for this. This donburi is one of my son favourite, looks so yummy! 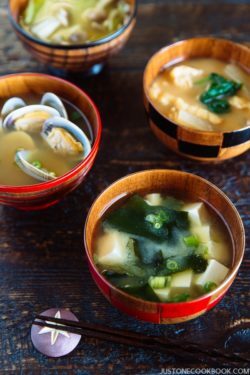 I just love Japanese food, it’s one of my favorites 🙂 I can’t wait to try this recipe. It looks so good and yummy! Thanks for sharing! I actually love the thin pork version of this! Sounds amazing and I’m sure it was absolutely delicious! Thanks Peggy! It would have been perfect if this Tonkatsu meal ended with your ice cream… LOL. Oh this looks yummy! 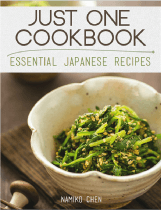 We love Japanese foods and I am on a quest this year to cook more recipes from that area. Great photo’s too! 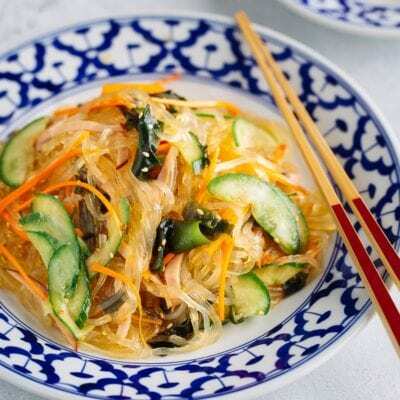 I love learning about your dishes..this recipe and photos are just amazing! Wonderful tasty meal! 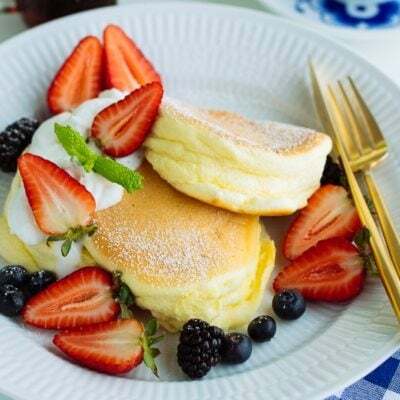 Thanks for sharing Nami these yummy recipes! Amy – I totally agree. And I actually like Tonkatsu because of Tonkatsu sauce. I appreciate a person who made the sauce… LOL. I made a mock Tonkatsu with Tofu since my family is vegetarian, but couldn’t get the sauce right. Could you recommend a brand of Tonkatsu sauce. I love thin cut pork, but I usually use it for breakfast or for rolled up dishes. I never thought to use it to fry, but it makes perfect sense. Definitely dangerous is right! I just made this for dinner party of 3 families. It was a big hit! 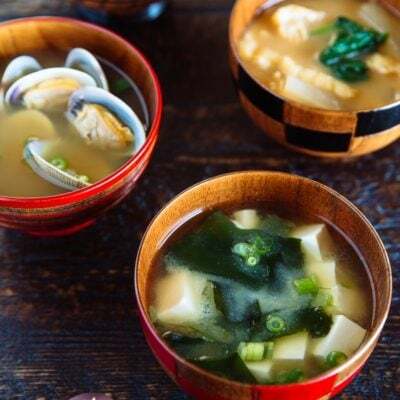 I served it with your miso soup with clams. Also a hit! Plus your apple pies! 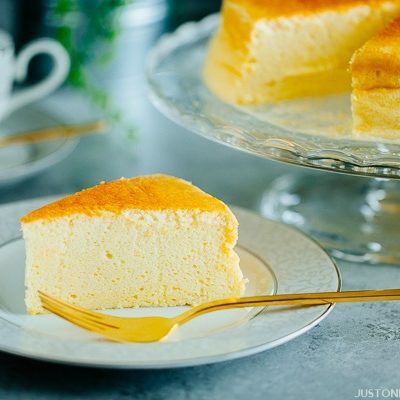 Thanks for your wonderful recipes! Keep them coming! Hi Grace! Was it still easy to make for 3 families? You’re amazing! 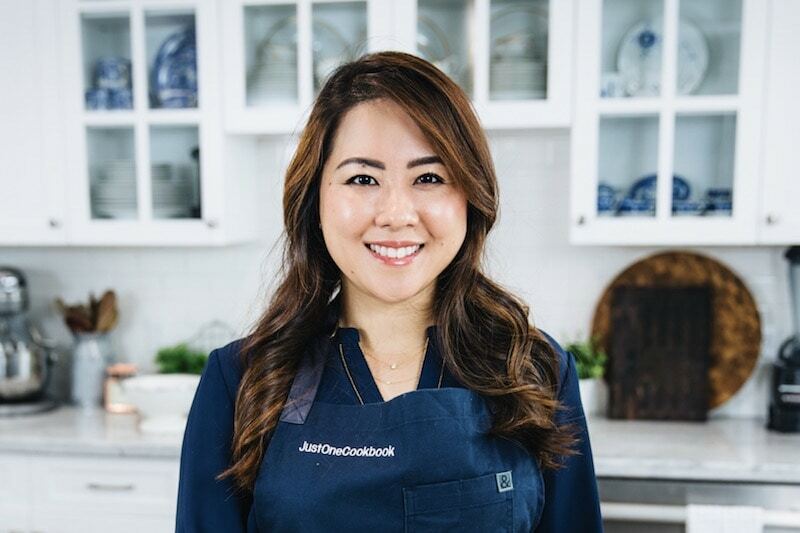 It sounds like you had a nice dinner party, and I’m really happy that you and your guests enjoy all three recipes! Thank you so much for stopping by to give me your feedback. I really appreciate it! Just wondering how Japanese mayo and american mayo are different. I know they taste different. Japanese mayo seems more creamy. 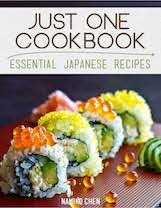 I’m making this for dinner tonight and just realized I’m out of Japanese mayo. 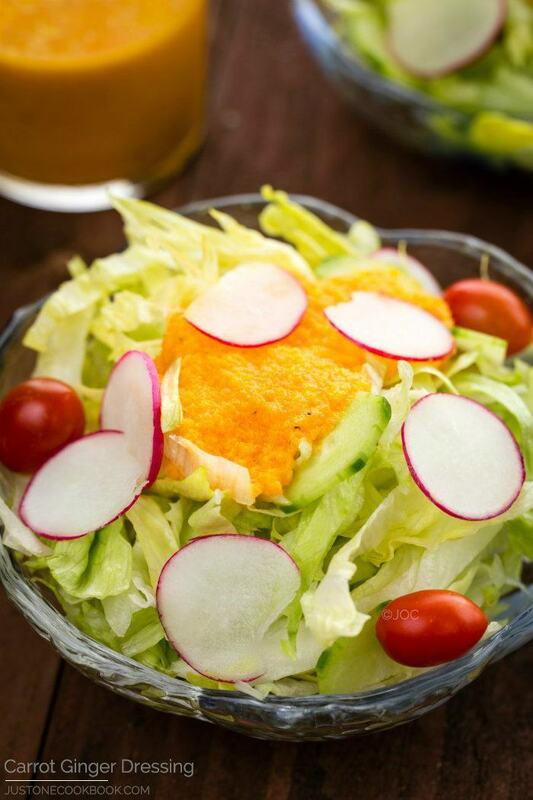 Do you think it’s ok to substitute american mayo? I have a substitute using American mayo here. aking it the other day. But it was missing something. It didn’t taste good at all. There was No flavor to it at all. Onegaishimasu! I’m back again. My 11 yo daughter and I made this recipe together last week. It was really good! I went a little light on the Japanese mayonnaise and the Bulldog sauce, but several of my children (and I) chose to add more of the sauces to our own plates. I did assemble the dish in 2 13×9 pans to have enough for our large family. 🙂 Frying isn’t something I do very often, so this will probably be more of a once-in-a-while treat than a regular dish, but it was really good! This is my husband’s absolute favorite meal to eat when we go to Japanese restaurants. I was so excited to be able to try it at home, and it came out delicious! I can see this meal coming together very easily when the meat is pre-sliced, the sauce is pre-made, and the rice is left-over from breakfast or lunch. Maybe next time I’ll try adding a fried egg like our favorite restaurant does. Looking forward to trying more of your recipes Nami! I have eaten a recipe similar to this for many, many years. I also cook this at home as it is a family favorite. My question is this: The Japanese restaurants always have called this Katso Don, and it is served with Tonkatsu sauce. We like the brand with the Bull Dog on it. is this the same just calling it something else? Hi Debbie! I am not sure if I understood your question 100%. 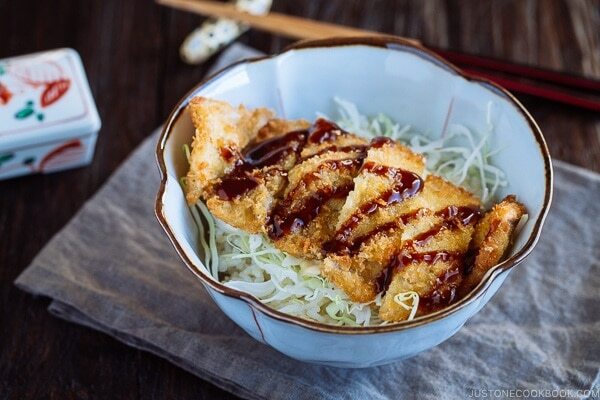 Anything that’s panko coated and fried is called katsu. 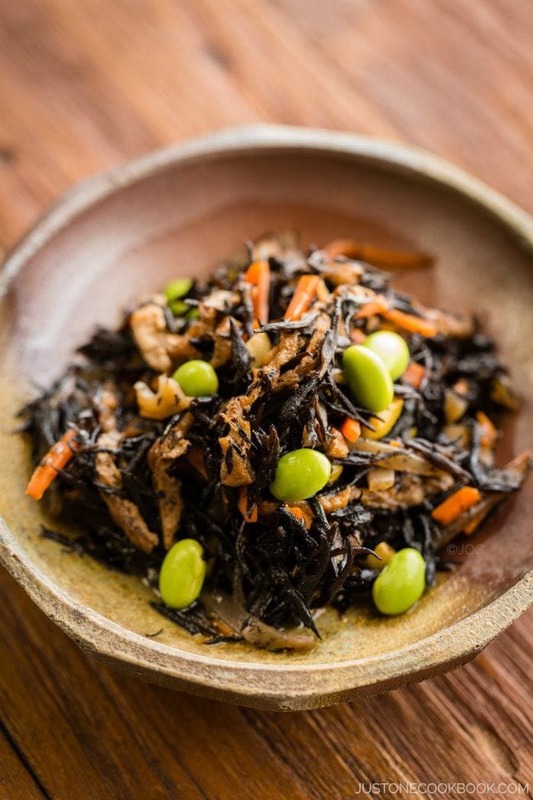 It can be fish, pork, chicken… and if it’s in the big rice bowl, we say donburi or don for short. So in this case, it’s tonkatsu donburi to be precise. You can call it katsu don, but you will likely be asked what type of katsu (pork, chicken, fish etc). 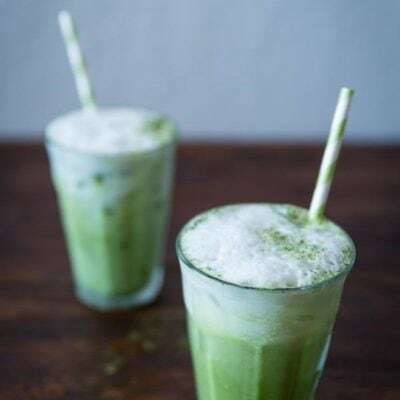 For my website, I can’t name the same recipe twice. Therefore, I even specify this tonkatsu don even further by saying crispy (using thinner sliced meat) so two recipes won’t compete each other for google search. One of my favourite cutlets. I have been making your baked tonkatsu for a while and this “thin tonkatsu” sounds great too. Can’t wait to try it out! Do you know if I can bake this in the oven instead of frying, just like with the baked tonkatsu? Another thing which I have been wanting to ask about the panko. Can pre-cooked panko (the toasted golden panko) be kept for later use? Thought of making more for easy “breading” later. Hi Lucila! Thank you for your kind feedback. I’m happy to hear you enjoy my blog. 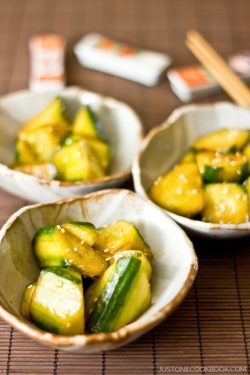 Hope you can find some recipes that you enjoyed while you were in Japan! Hi. I’m not sure if you use this already but I just had to share with you this indoor smokeless electric grill. I just made teriyaki beef in my kitchen & there was no smoke. The smoke detectors usually are going off & we have to open doors & windows to help with the smoke. No such thing tonight. I wish I could share with you my pics and short video.